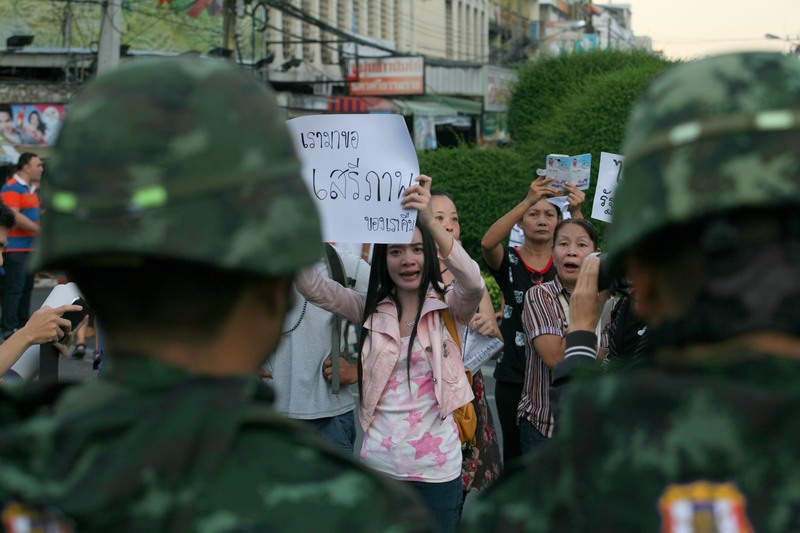 Thailand’s protests and military crackdown are not just happening in Bangkok. A look at a recent event in Chiang Mai. Thailand’s military has cracked down on dissenters and protestors following its declaration of martial law and subsequent coup in late May. While much of the world’s attention has been focused on events in Bangkok, rallies and detentions have been taking place in other areas. 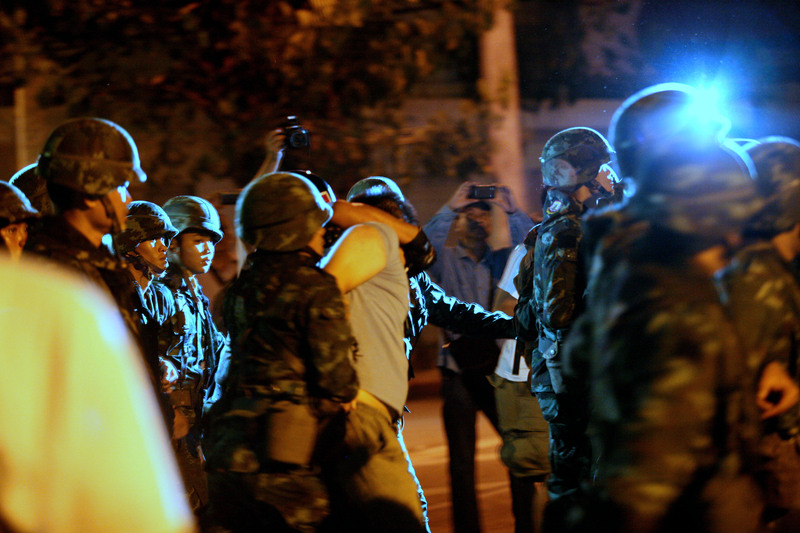 Photojournalist Rohan Radheya captured the military’s response to a recent rally in Chiang Mai. 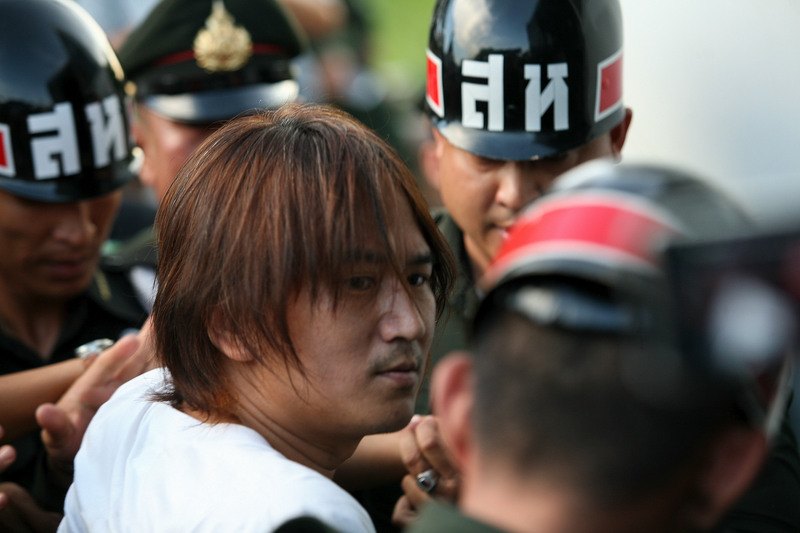 Thai soldiers detain a protester at a rally against the military coup that took place on May 22, 2014 near the Chang Puak Gate in Chiang Mai, Thailand. 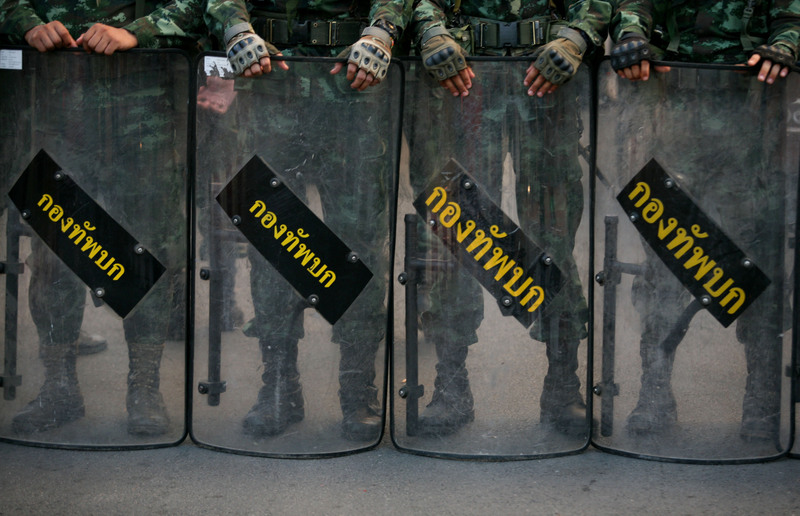 Thai soldiers stand guard at a rally against the military coup that took place on May 22, 2014 near the Chang Puak Gate in Chiang Mai, Thailand. 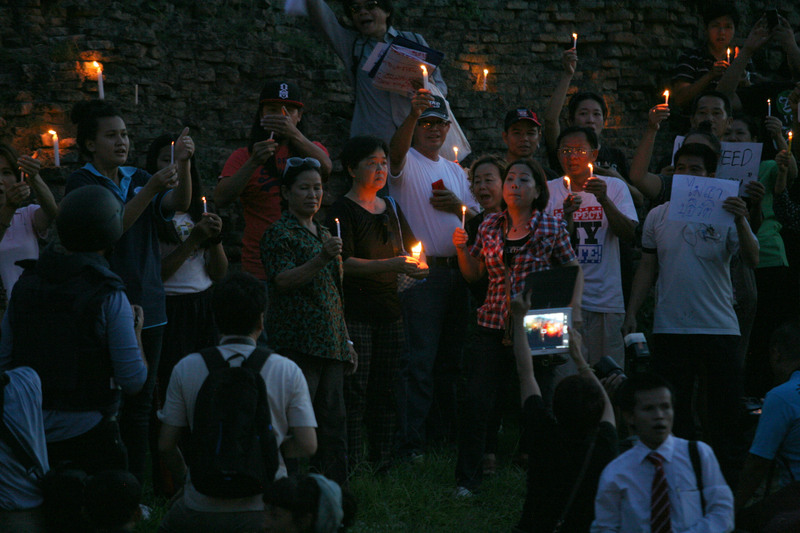 A rally against the military coup that took place on May 22, 2014 near the Chang Puak Gate in Chiang Mai, Thailand. Daily life in Thailand under the ruling military junta, which took power in a May 22 coup. Tense Times in ThailandThailand’s Election ImpasseDelhi's Dying Holy RiverThe Many Faces of India's Kumbh MelaWhat’s Showing at Asia's Biggest Contemporary Art Festival?